In addition to dust accumulation that can damage a computer's delicate components, computers can be unhygienic hot spots for offices. Bacteria, viruses, skin flakes, oils and grime can collect on keyboards and monitor screens. Protect two of your most important assets—your employees and your computers—with regular cleaning by ServiceMaster of York. 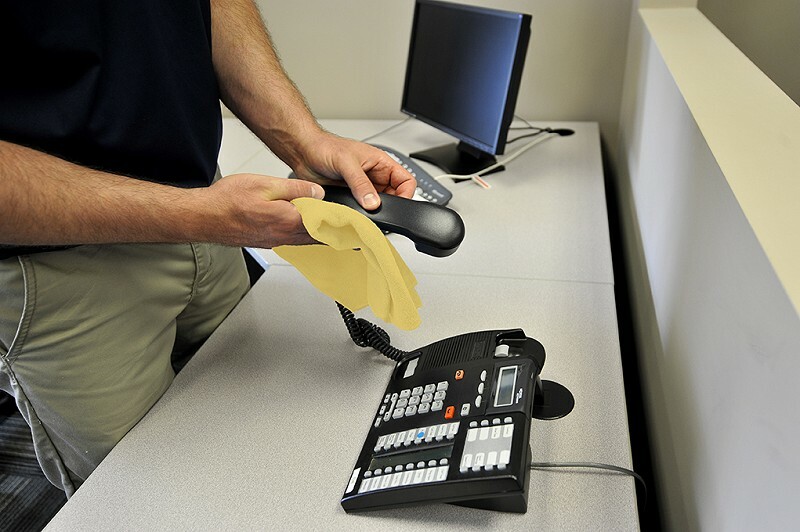 ServiceMaster of York will work with you to provide a plan to clean computer keyboards, screens and telephone handsets to ensure all germs and bacteria are eliminated. The end result being a clean and healthy workplace for your staff.